I have been in love with Oscha's Strato pattern for the longest time, and have been a lover of wool also. I was ISO Aequus for a long while, and managed to find one while perusing the Canadian Swap one day for an amazing deal. When it arrived, I could tell it wasn't very broken in, it was much more scratchy and thick than the Didy wools I have grown used to, so I worked on it a bit with some steam and love. 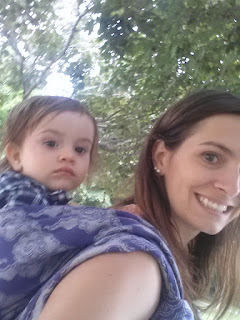 I don't think it helped that I received this beauty in the summer, when it is definitely a cooler-weather wrap. I wrapped my toddler with is a few times for short outings, he was not wanting to be up long at the time, and it was quite a warm wrap. I found it very supportive, but a bit hard on my shoulders. I don't usually mind itchy wool, but this was even a bit itchy for my tastes. I ended up selling it very quickly, as I still couldn't find the Oscha love, even after lusting over this beauty for so long. The pattern is just so lovely though, I wish I could have liked it better. I thought it would have been more of a blue colour, but it was very purple, which I tend to be drawn to. 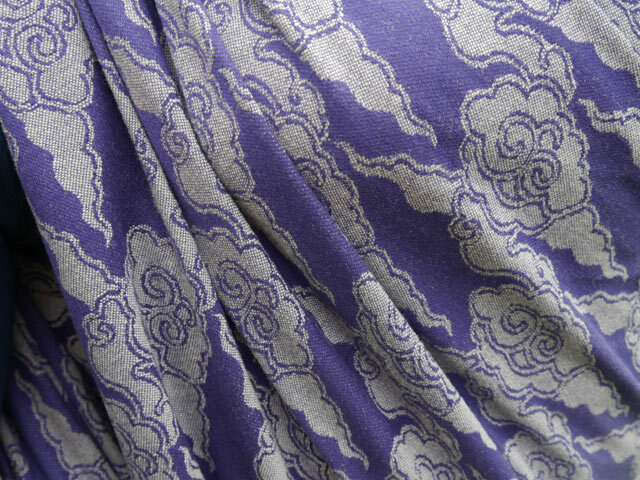 Pros: Beautiful pattern, beautiful colour, great warmth for a cold weather wrap, super sturdy. Cons: Itchy and beastly new, not enough give and bounce for my taste. Recommendations: If you don't mind itchy wool, and are looking for something to keep you and bubs warm during long winter walks, this beast is up to the task. This is not a light wrap by any means, and not my recommendation for new wrappers or summer heat.